Hooked on Phonics brings you our most complete book bundle ever! 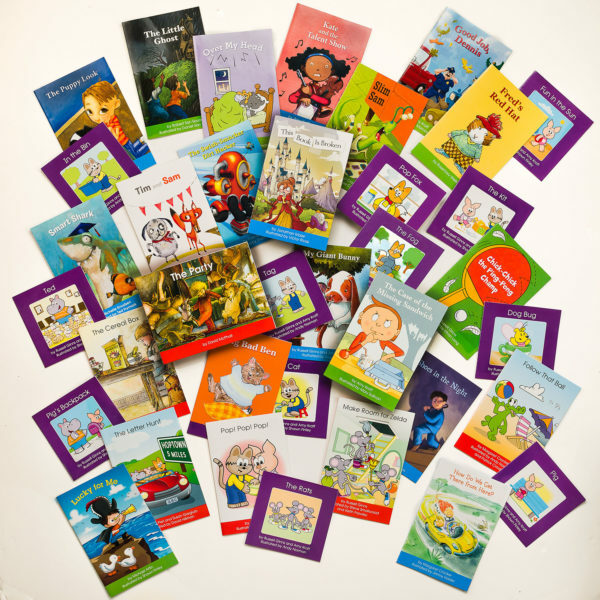 With a $115 value, this 36 book library bundle featuring the books from the Hooked on Phonics Learn to Read program is perfect for children of all ages and includes titles that will excite and challenge readers at multiple levels. These books were written and illustrated by award-winning authors, and some of the most prominent names in early education literacy including Robert San Suci, Rosemary Wells, and more! Take the opportunity to introduce new titles and stories to your child, and watch them master and develop a lifelong love of reading! Perfect Collection Of Books to Compliment and Foster Reading Skills! Love! Having the real versions of the great books in the app is so much fun! Just got our books in the mail! My son is super excited, but how do I know which books is which grade level? They have different colors on the bottom of the books but it doesn’t say anywhere which color is which level. Other than that, I love it!